Food was very good. The satff in th restuarnt was very friendly and professional. Thank you Udaya for appreciating our food. Wish to host you again when you are Pokhara. Especially good for children. My little girl loved the large paddling pool, while I loved the adult pool. The fun park and playground needs a bit of repair but was useable. A little far from town, but its so quiet at night that is worth it. Thank you for your review. We appreciate that. We are pleased that your family enjoyed your stay at the hotel. We would love to welcome your family again at our property. We can not say enough good things about our stay. We ended up staying an extra two days because we enjoyed it so much. The staff were wonderful with our kids and everything was safe and secure. The family that owns and runs this resort took extra special care of us. 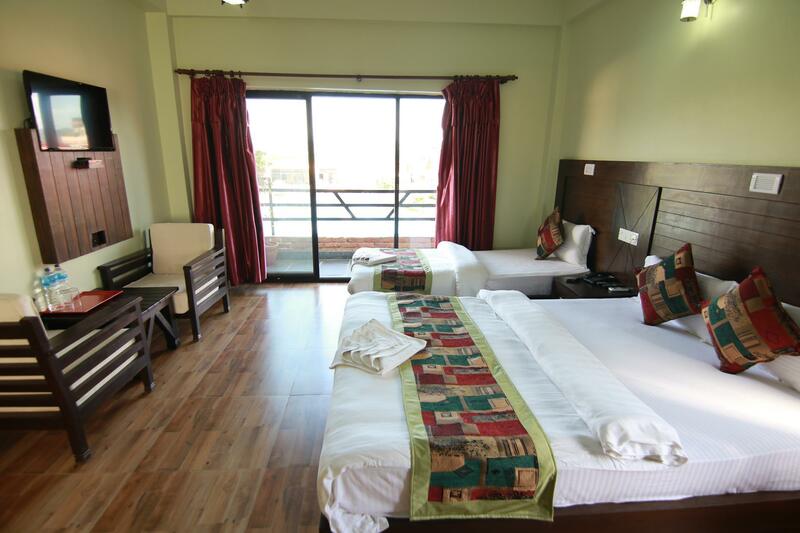 If you are coming to Pokhara with a family this is the only place to stay. friendly staff, excellent mountain view, n joyrides forchildren. Thank you for your review. We appreciate that. We are pleased that your family, especially your children, enjoyed the stay at the hotel. We would love to welcome your family again at our property. Is super hotel for famili with children, nice swemming pool, good funpark for children, is not so easy found play ground for children in Nepal so this hotel is nice stay for children, when they can play and relax, my son 6 year old not wont to go from this hotel. Food is simple bud good, staf very nice, room simple but new and very Clear, i was feel very relax, nice and safty. Thank you for your review. We appreciate that. We are pleased that your family, especially your son, enjoyed your stay at the hotel. We would love to welcome your family again at our property. I had a wonderful two nights the staff and owners were very welcoming and did everything they could to make my stay comfortable. They helped me organise a party for my thirteen orphan children which was a great success. The children had a ball. Chachawhee resort and fun park is excellent families with young children the staff are very helpful and caring regarding children, parents can relax and know that their children are in safe hands. I would recommend this resort to any family wishing to visit Nepal. Thank you Dinesh and all the staff. Thank you for your review. We appreciate that. We are pleased that your family enjoyed your stay at the hotel. We are glad to have played at your effort in bringing happiness on the faces of the children you brought to our hotel. We would love to welcome your family and the children again at our property.